Our pop culture highlights list this week includes the the modelings of Magic Mike, the horror of being Unfriended, and the wherq-ings of The Prancing Elites Project. 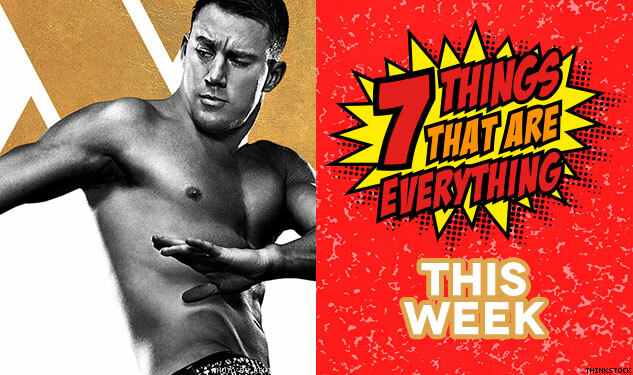 Scream, wherq, look, read, watch, go, and party with the seven things that are everything this week. If you put something online, it lives forever. Such is the premise of the new millennial horror film Unfriended, in which a girl commits suicide after someone at her school posts a humiliating video of her online. The incident comes back to haunt a group of friends a year later, when an anonymous person begins to threaten them via Skype, demanding the poster reveal their identify or else. Check it out in theaters this weekend.